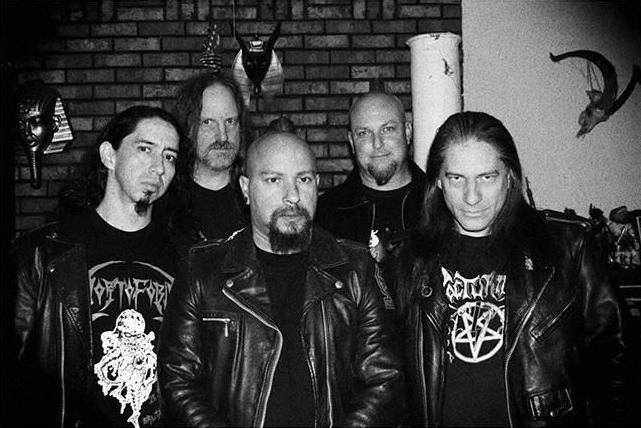 Nocturnus are back! Well, not really. Back in 1990, the band released their debut record The Key, which went on to become one of the most seminal works in death metal. When the overall genre was still in its infancy, the album gave it shape, and provided a solid platform to build off for many. Now, the act has been resurrected from the ashes, in the form of Nocturnus AD. Initiated by the original band’s founder/death metal legend Mike Browning (also co-founder of Morbid Angel), Nocturnus AD hopes to continue the path that was laid down almost 29 years ago. Joining him on this mission are guitarists Demian Heftel and Belial Koblack, bassist Daniel Tucker (ex-Obituary), and keyboardist Josh Holdren. Their debut album Paradox is meant to be a direct follow-up of the events that went down in The Key, and is set for release on May 24 via Profound Lore Records; it is now available for pre-order. To give the fans a taste of what to expect, Nocturnus AD have released the lead single “Precession Of The Equinoxes”. The track instantly takes one back to the 90s with its old school death metal riffs, while keeping things fresh with a few modern, technical twists thrown in. Carrying the sci-fi themes over from The Key, the single manages to be monstrous and mysterious at the same time. Visual artist Timbul Cahyono has even managed to get inspired by Dan Seagrave’s work on The Key to create the album art for Paradox, echoing the continuation of the overall story. To receive future updates on more music and tours of Nocturnus AD, follow them on Facebook. Next PostObzerv Groove Around with their New Song "Apex Predator"